Model 1957 mack c-49 dm (pacific greyhound lines p1670-p1699 series). 1957 Mack C-49 DM (Pacific Greyhound Lines P1670-P1699 series). 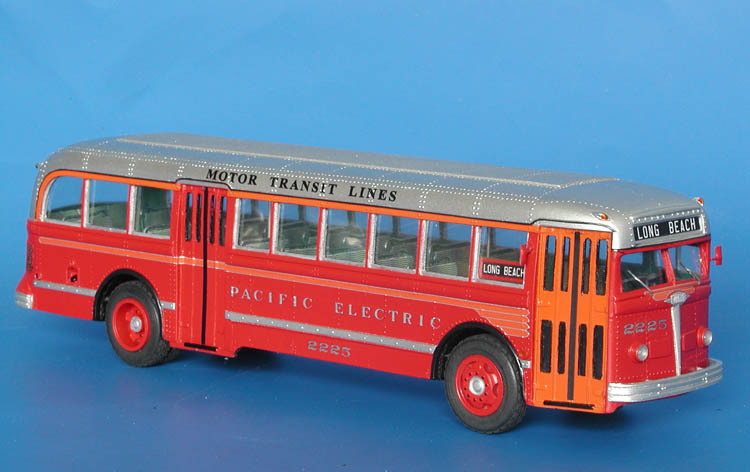 Pacific Greyhound Lines acquired thirty Mack C-49DM coaches in April-May 1957 or use on their extensive commute operations in the San Francisco Bay Area. 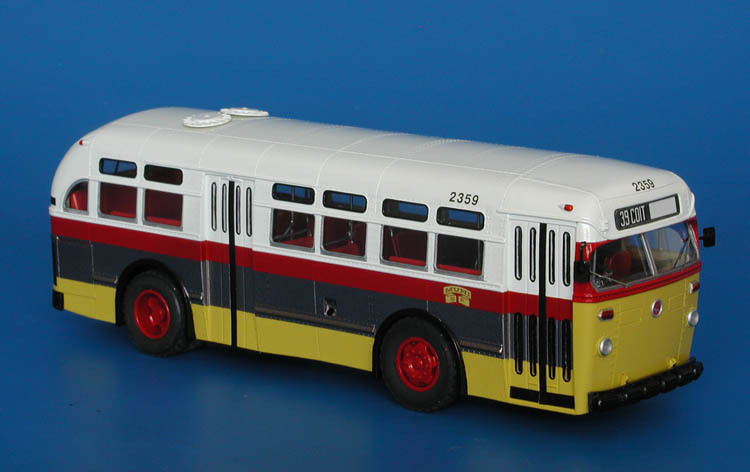 They were numbered P1670-P1699 and with four coaches delivered to Richmond Greyhound Lines were the only post-war Macks owned by Greyhound companies. 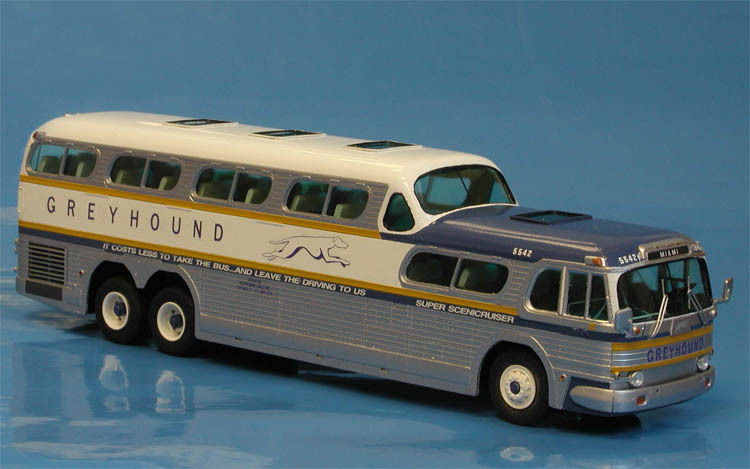 The coaches were built to Greyhound’s standard specs with transit seating, mechanical transmissions and single doors. 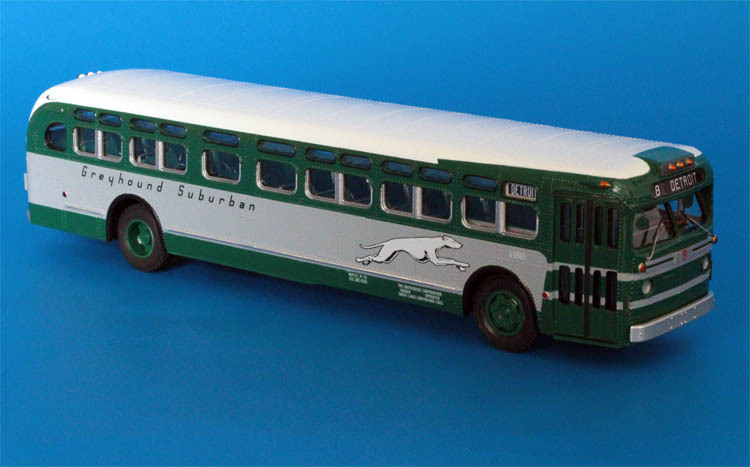 These buses never had the Greyhound running dog emblem because advertising frames were installed on the sides and would have covered up the emblems. 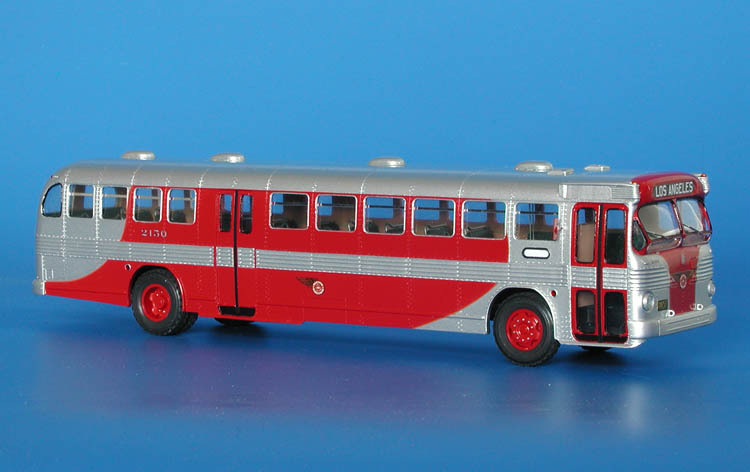 *) The Macks were withdrawn from service in early 1970s, coach P1683 was acquired by Pacific Bus Museum is 1999. *) Running dog emblem decal could be applied on the model on special request. 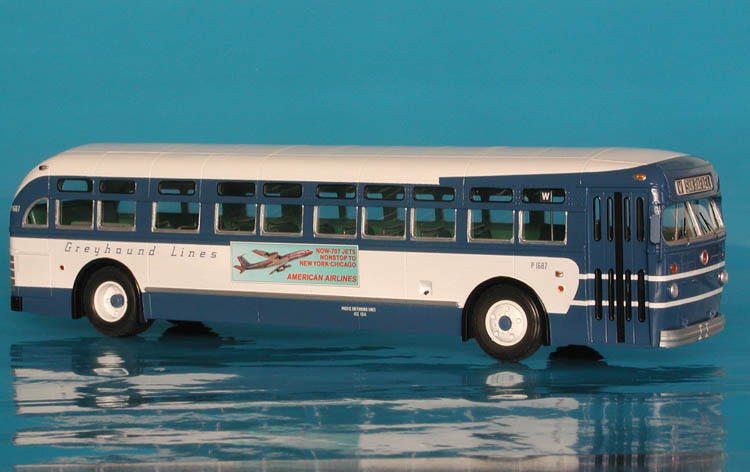 1954/56 GM PD-4501R Greyhound® Scenicruiser - '61/62 rebuilding version. 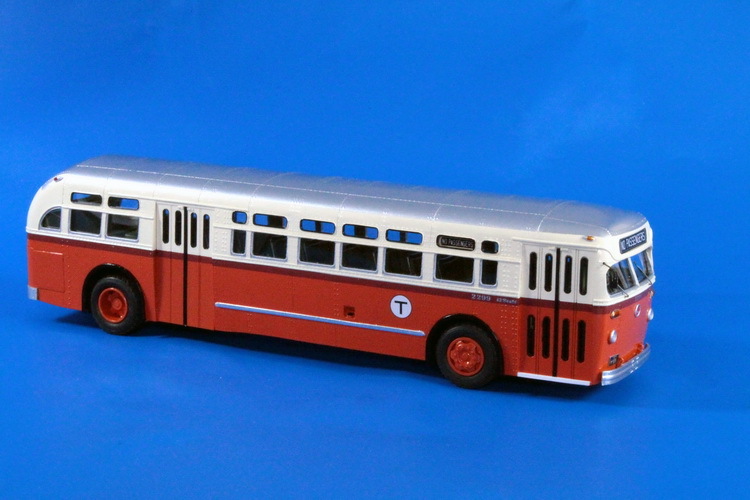 1960 Mack C-49 DT (San Francisco Municipal Railway cutdown 2359 & 2617 buses) - original livery.